Depression is the most common psychiatric disorder, by 2020, which is expected to rise to the world's second major disease. 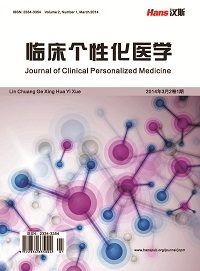 With the further research of Depression, animal models of depression are widely used in the preclinical pharmacodynamic evaluation and study on mechanism of drug action through the particial imitation to disease characteristics, behavioral signs, physiological, biochemical and pathological characteristics of the disease. However, reliability and accuracy, which are showed in clinical imitation, to some extent, are still needed improved. It’s likely to be a false positive reaction during the research process caused by different reasons. The essay intended to introduce several common animal models that are easy to be false positive and some promoted solutions, in order to provide a conference for the antidepressant drugs’ pharmacodynamic evaluation and study on mechanism of drug action. Yan, H.C., Cao, X., Das, M., et al. (2010) Behavioral Animal Models of Depression. Neuroscience Bulletin, 26, 327- 337. 叶娜, 郑卫英. 抑郁症动物模型建立及评价的研究进展[J]. 数理医药学杂志, 2015(6): 902-904. 毛羽, 安书成. 应激抑郁症动物模型的神经机制及其评价[J]. 中华现代内科学杂志, 2005, 2(2). 秦琴, 刘利学. 抑郁症动物模型概述及评价[J]. 实验动物科学, 2010, 27(1): 53-59. 薛涛, 邬丽莎, 等. 抑郁症模型及评价方法研究进展[J]. 中国实验动物学报, 2015(3): 321-326. 吕俊华, 钟玲. 实验性抑郁症动物模型的评价[J]. 中国病理生理杂志, 2001, 17(9): 916-919. 陈奕晨. 色氨酸耗竭模型大鼠的比较蛋白质组学研究[D]: [硕士学位论文]. 重庆: 重庆医科大学, 2012. 李幼虹, 郑希耕. 吗啡和精神兴奋剂的行为敏感化及其神经生物机制[J]. 中国行为医学科学, 2006, 15(11): 1050- 1052. Brotto, L.A., Gorzalka, B.B. and Barr, A.M. (2001) Paradoxical Effects of Chronic Corticosterone on Forced Swim Behaviours in Aged Male and Female Rats. 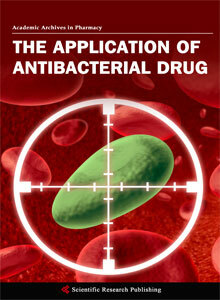 European Journal of Pharmacology, 424, 203-209. 郑金炽, 林贤浩. 慢性应激动物模型研究进展[J]. 四川精神卫生, 2010, 23(2): 131-133. 王雀良, 潘集阳, 刘亚军, 等. 抑郁症动物模型的回顾与展望[J]. 广东医学, 2011, 32(7): 932-935. Steru, L., Chermai, R., Thiemy, B., et al. (1985) The Tail Suspension Test: A New Method for Screening Antidepressants in Mice. Psychopharmacology, 85, 367. Poraoh, R.D., Bertin, A. and Jalfre, M. (1977) Behavioral Despair in Mice: A Primary Screening Test for Anti Depressants. Archives Internationales De Pharmacodynamie Et De Therapie, 229, 327. Cryan, J.F., Mombereau, C., Vassout, A.L. (2005) The Tail Suspension Test as a Model for Assessing Antidepressant Activity: Review of Pharmacological and Genetic Studies in Mice. 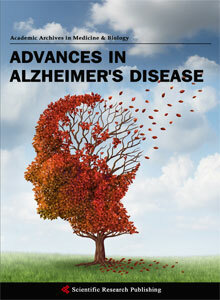 Neuroscience and Biobehavioral Reviews, 29, 571-625. 包祖晓, 赵国平, 等. 肝肾阳虚性抑郁症大鼠模型的建立和评价[J]. 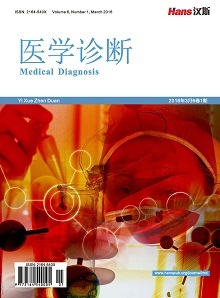 中华中医药学刊, 2015(1): 42-45. 薛涛, 王琼, 等. 抑郁症动物模型及评价方法研究进展[J]. 中国实验动物学报, 2015(3): 321-326. 袁哲, 李少杰, 孙超, 魏巍, 崔潇. 一种抑郁症模型动物的观测装置[P]. 中国专利, CN 204582233U. 2015-08-26. 余红, 修建军, 等. 基于核磁共振的代谢组学方法对CUMS动物模型的初步研究[J]. 医学影像学杂志, 2015, 25(12): 2240-2244. 白晓宇, 杜冠华. 抑郁症动物模型的转换研究[J]. 中国比较医学杂志, 2011, 21(10-11): 121-126. Lutgendorf, S.K. (2013) Non-Cancer Life Stressors Contribute to Impaired Quality If Life in Ovarian Cancer Patient. Gynecologic Oncology, 131, 667-673. Miller, A.H. (2008) Elucidating the Consequences of Chronic Stress on Immune Regulation and Behavior in Rheumatoid Arthritis. Brain, Behavior, and Immunity, 22, 22-23. Reiche, E.M., Nunes, S.O. and Morimoto, H.K. (2014) Stress, Depression, the Immune System, and Cancer. The Lancet Oncology, 5, 617-625. 杨婵娟, 安瑞娣, 等. 造模时间对慢性不可预见性刺激致大鼠抑郁模型的影响[J]. 四川动物, 2015, 34(3): 383-388. 王敏丹, 燕平. 不同频率电针对抑郁模型大鼠血清BDNF及CRH含量的影响[J]. 实验中医药学, 2015, 16(1): 21-23. 应军, 肖百全, 等. 鸡血藤与阿胶升白细胞作用额比较研究[J]. 中药新药与临床药理, 2011, 22(2): 175-177. Richardmen, J.S. (1991) Animal Models of Depression Reflect Changing Views on the Essence and Etiology of Depressive Disorders in Humans. Progress in Neuro-Psychopharmacology and Biological Psychiatry, 15, 199-404. 孙晓龙. 肝郁证动物模型实验研究评述[J]. 中国学报, 2016, 31(3): 398-401. Nishi, K. and Diksic, M. (2009) A Genetic Rat Model of Depression. Flinders Sensitive Line, Has a Lower Density of 5-HT(IA) Receptors, but a Higher Density of 5-HT(IB) Receptors, Compared to Control Rats. Neurochemistry International, 54, 299-307. Shabsnov, P.D. and Roik, R.O. (2005) Evaluation of Antidepressant Activity in a Model of Depression Like State Due to Social Isolation in Rats. Ek-sperimental’naia I Klinicheskaia Farmakologiia, 68, 11-15.